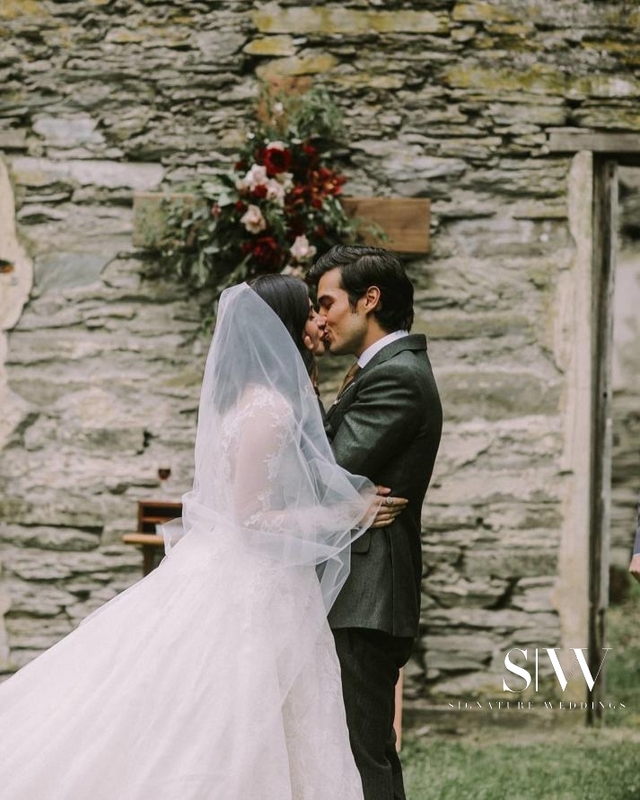 When true love exists between two people, it can always be clearly seen and felt. 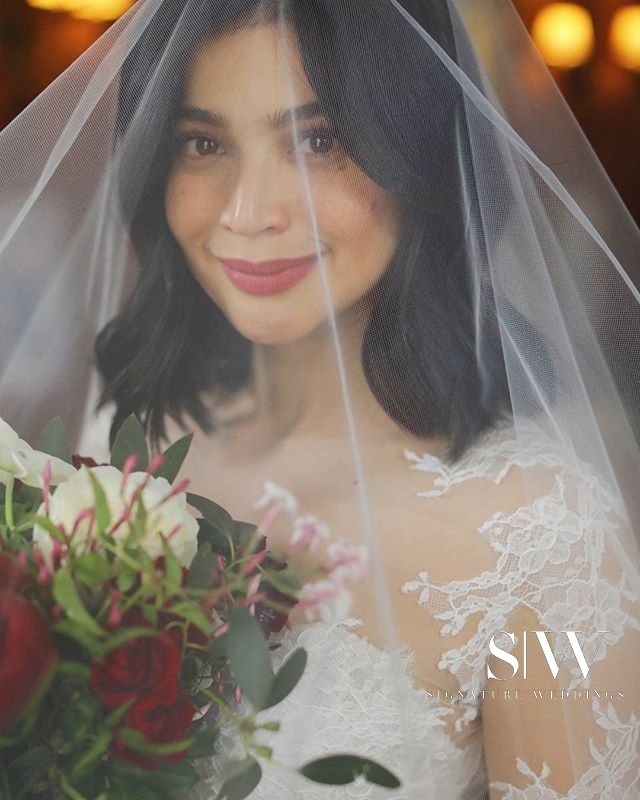 It’s in their eyes, their faces, the glances they give each other, the words they speak, and in the tears that they can make each other cry—good tears, of course. 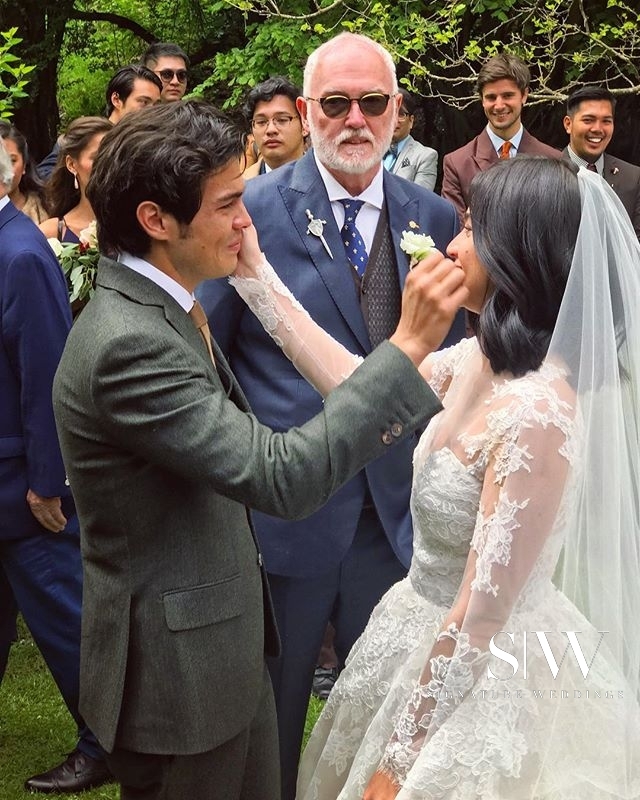 Erwan and Anne’s très romantique wedding is a real tear-jerker, and the romance we feel is true and genuine. 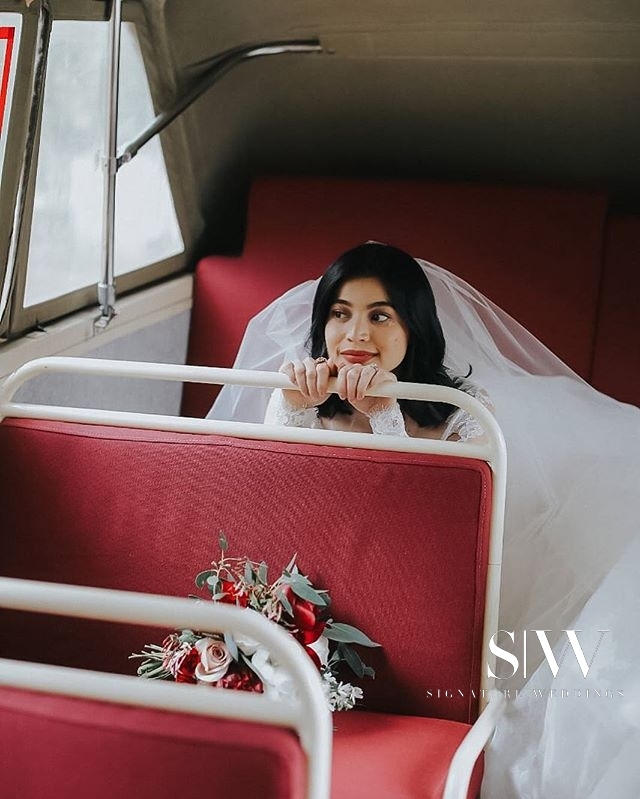 The solemnization of the charming wedding was held at Thurlby Domain, a beautiful place for outdoor weddings like these. 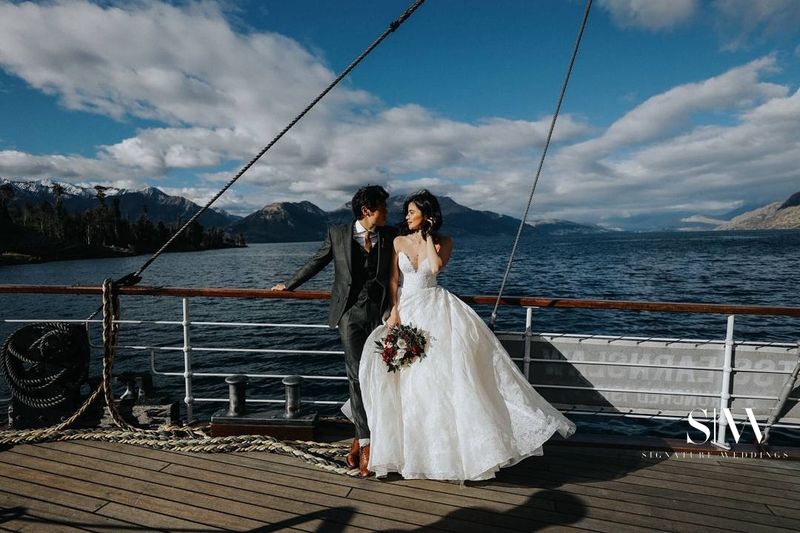 Their vows to each other were unique and beautiful and guests were brought to tears listening to their sweet words of lifetime promises. 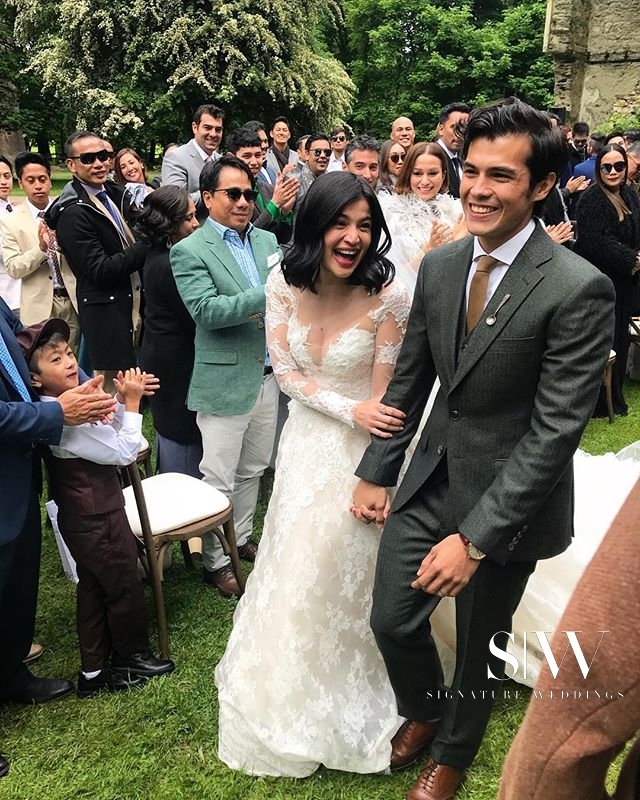 “Today I vow to be your humble co-star in the realest love story ever told…We will be together in this novel that will never end,” said Erwan to Anne. 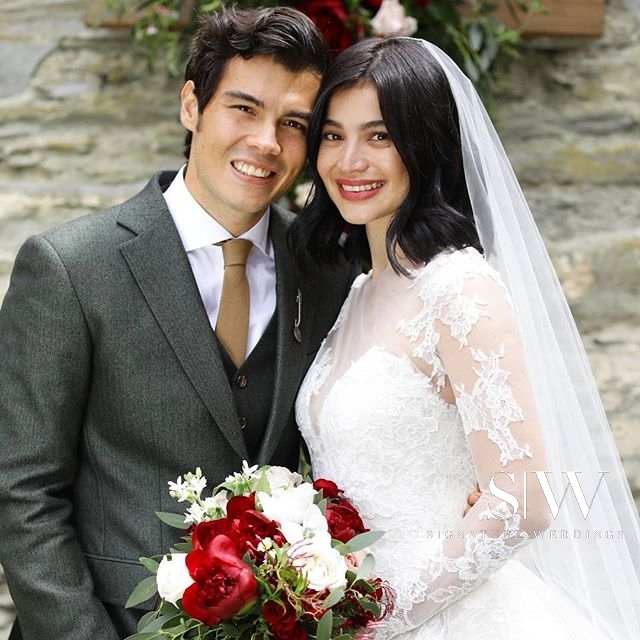 “No me without you and no you without me,” said Anne to Erwan. 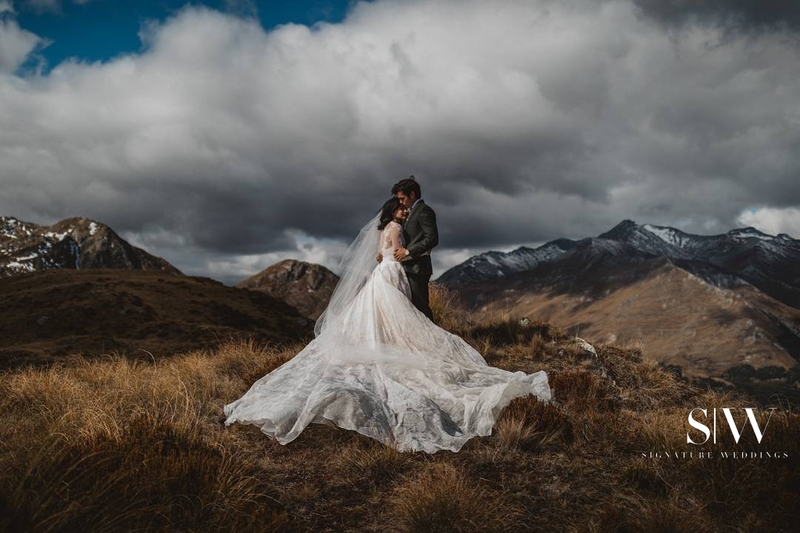 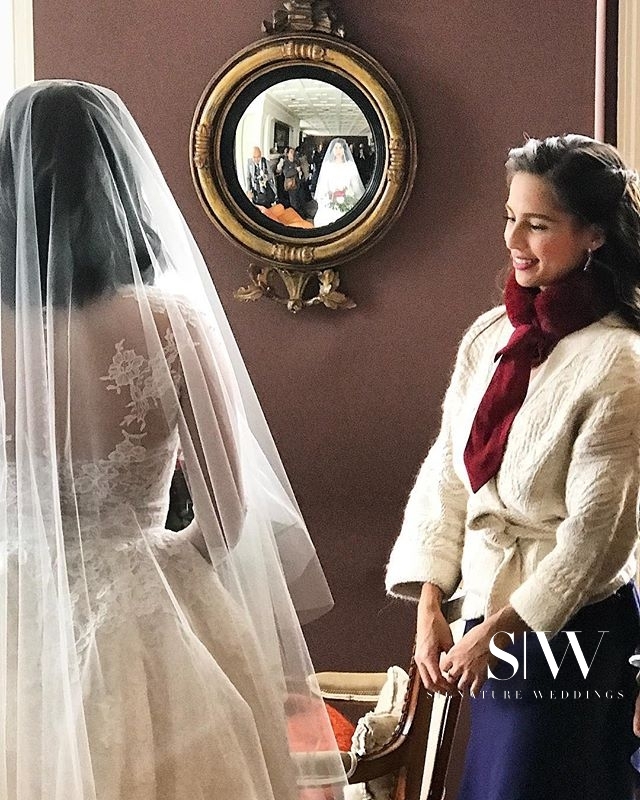 The bride wore a stunning custom-made Monique Lhuillier ball-gown wedding dress, complete with floral appliques covering it and a floor length sheer veil; the ensemble was paired with some black boots for the cold weather to ensure she didn’t literally get cold feet. 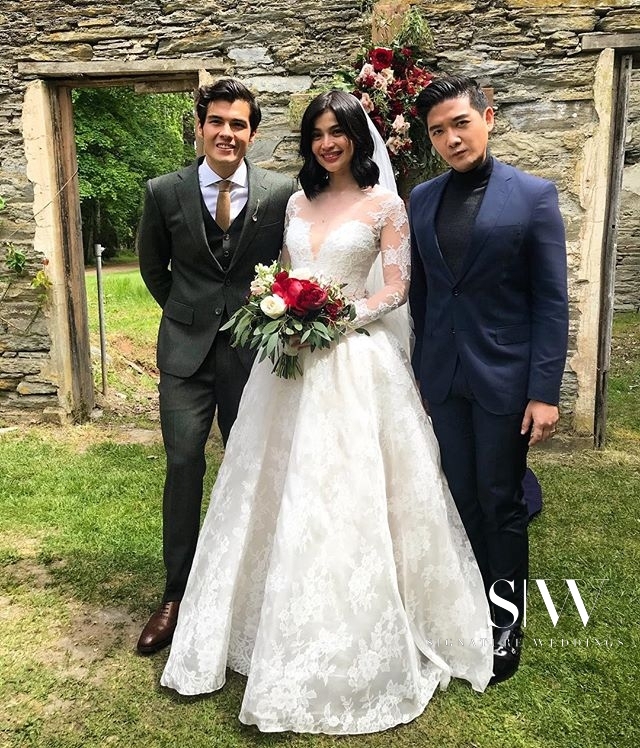 The groom looked dapper in a dark-grey suit by his tailor in Paris. 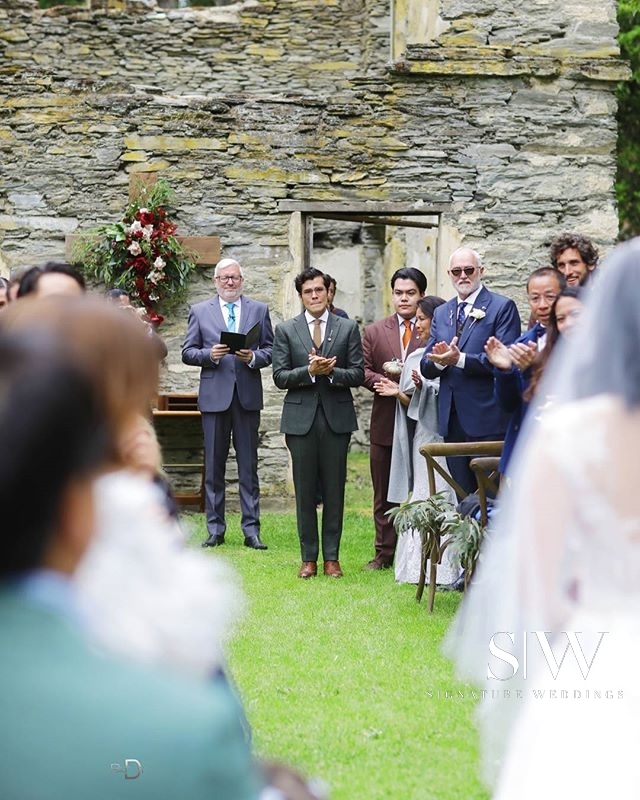 It was complete with a spoon brooch pinned to the lapel of the suit and all the groomsmen sported the same brooch, too. 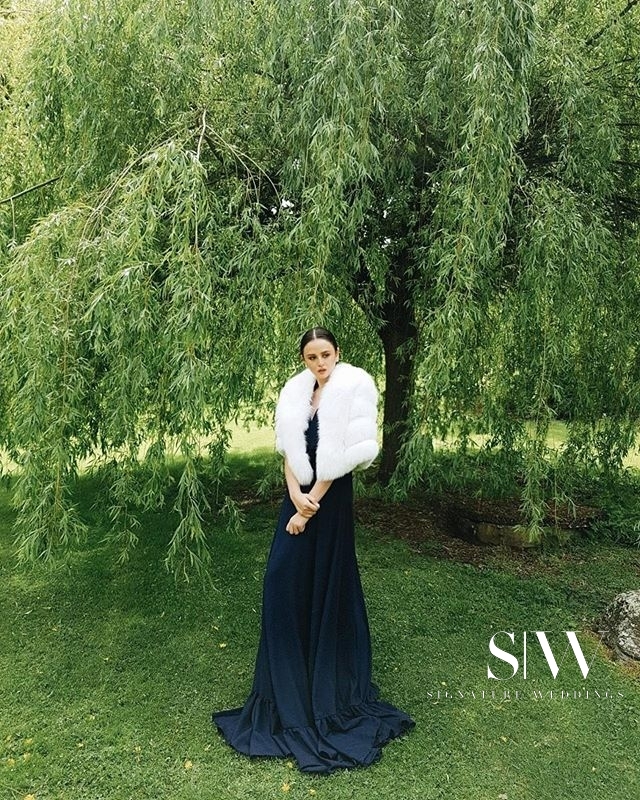 All the guests were fashionably dressed for the occasion and weather, too, with some guests sporting some beautiful faux-fur coats and edgy boots. 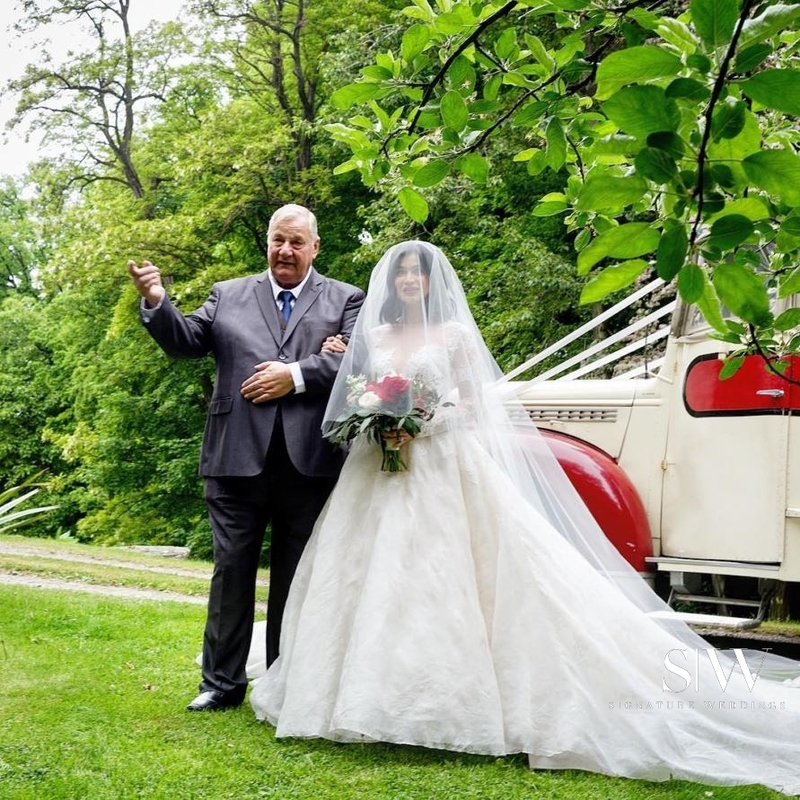 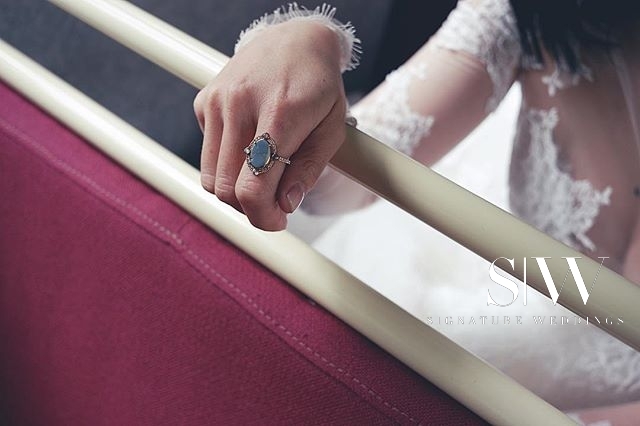 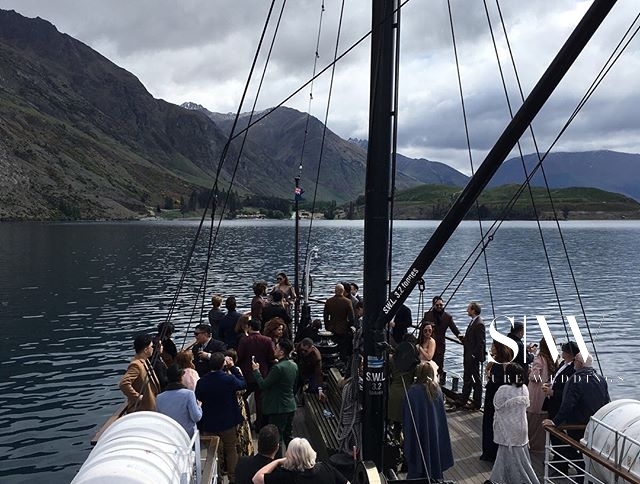 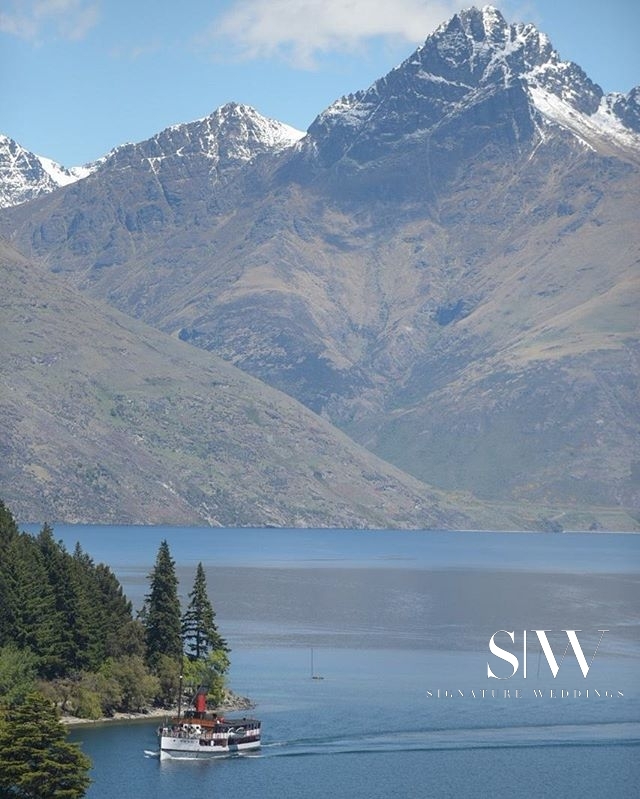 After the wedding ceremony, guests were transported via a 40-minute vintage steamship boat ride across Lake Wakatipu to Walter’s Peak High Country Farm, that’s located at the base of Walter’s Peak. 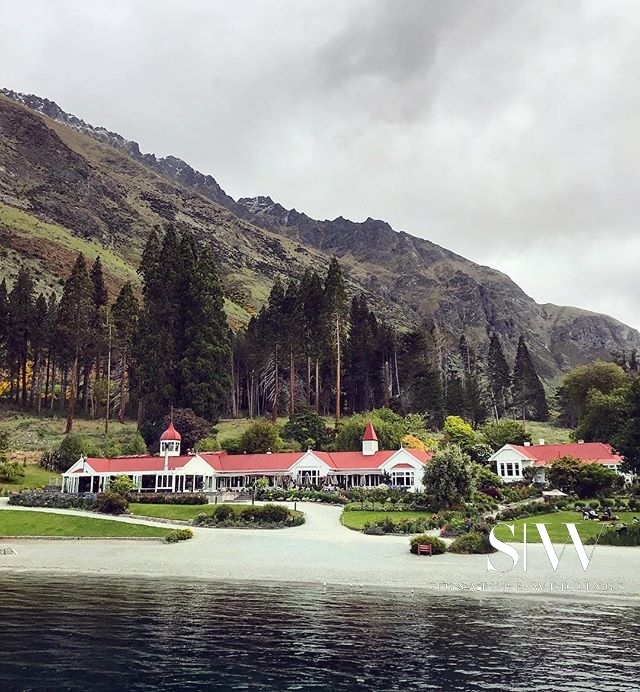 The stunning views surrounding the lake was the perfect preview of the wedding reception waiting for them. 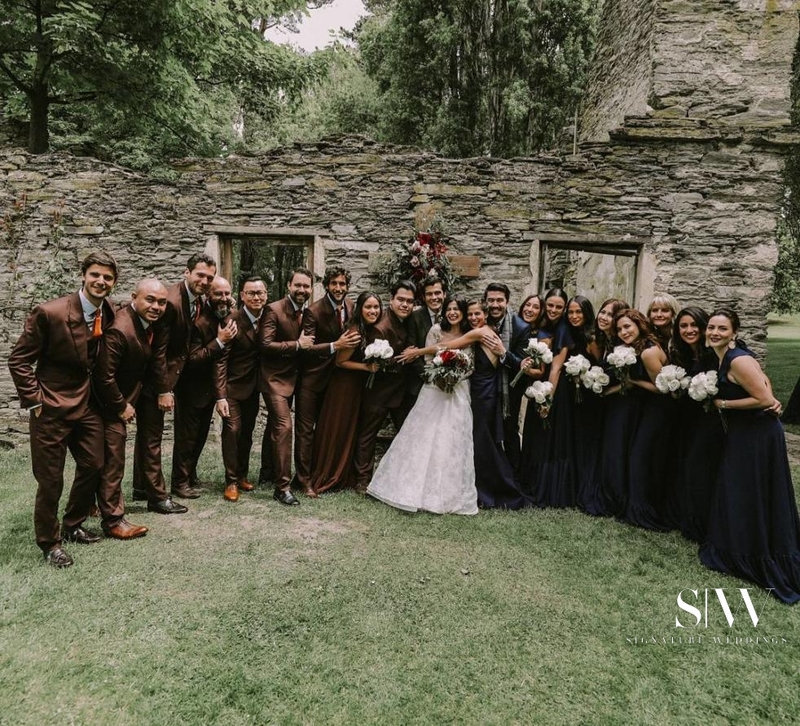 At the reception, the generally chill vibe made it a fun hangout among the friends and family members in attendance. 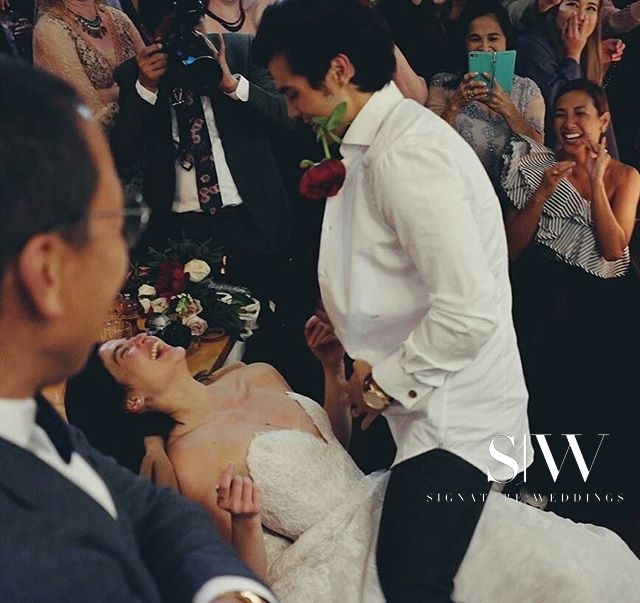 The evening was filled with good food, emotional speeches, lots of dancing, and even had a PG strip-tease by the groom. 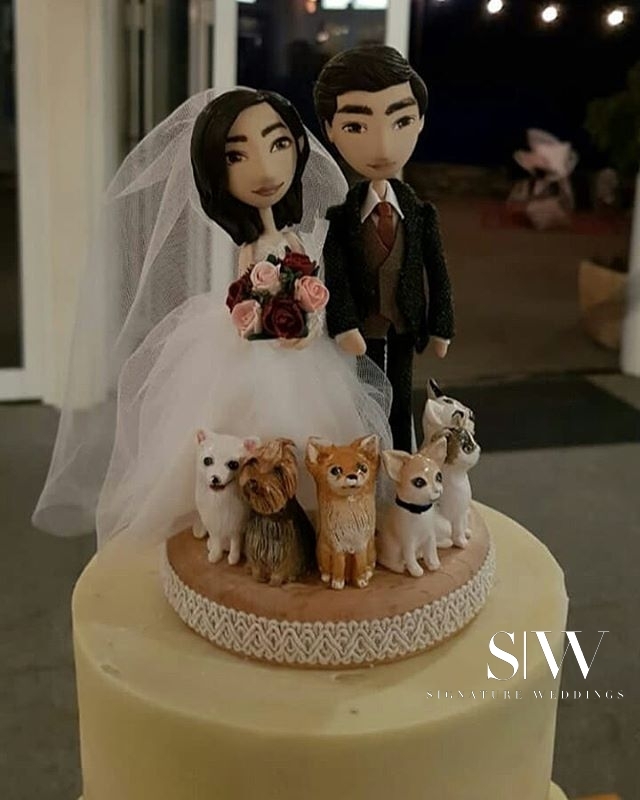 The 3-tiered cake featured the bride and groom’s 6 fur-children, a gift from the bride’s sister. 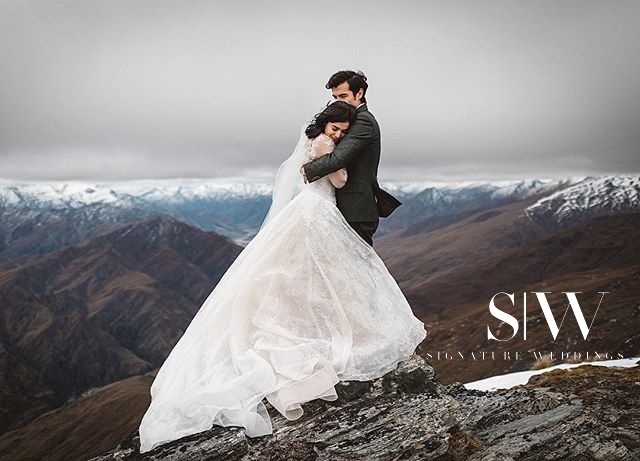 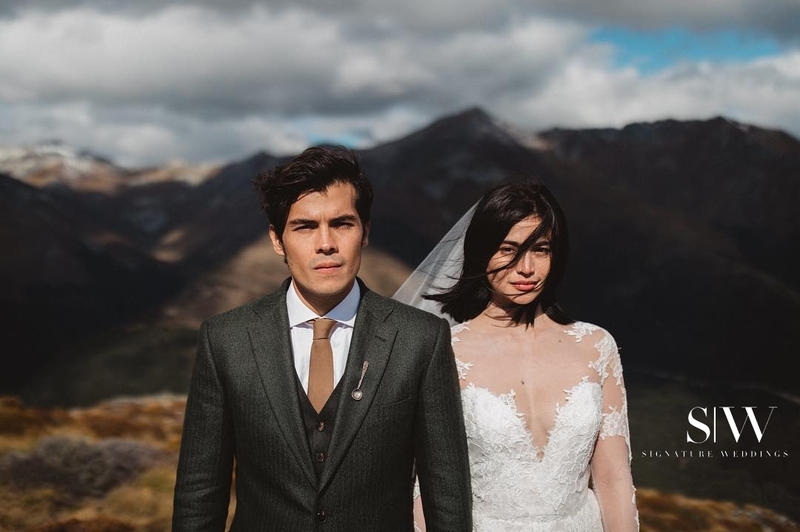 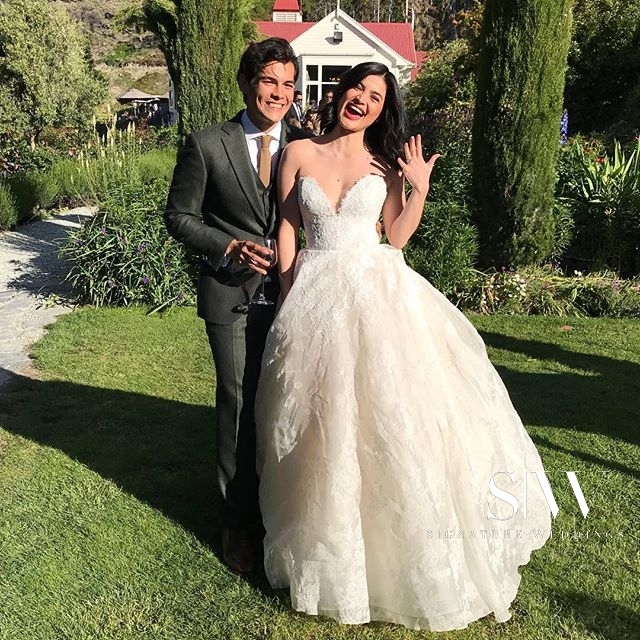 Erwan proposed to Anne in a truly romantic way last year; and a day before their wedding, Erwan released the last 2 minutes of the video he showed Anne before he got down on his knees and popped the big question. 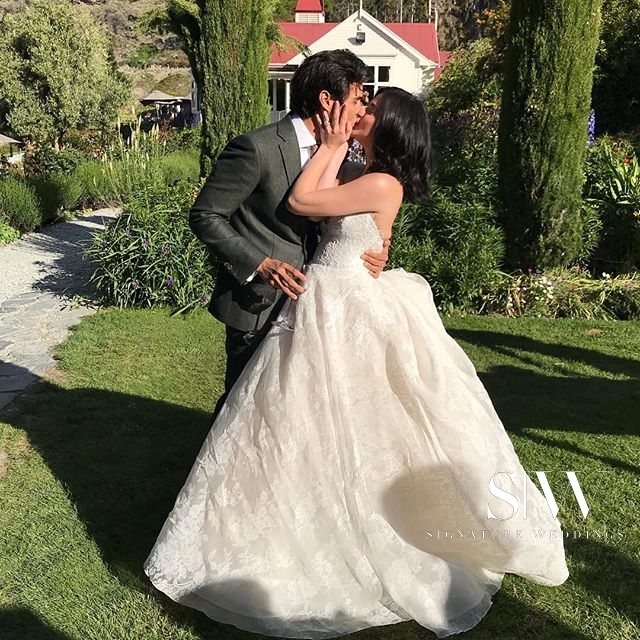 Anne said ‘yes’ as both of them cried and enjoyed the perfect moment together. 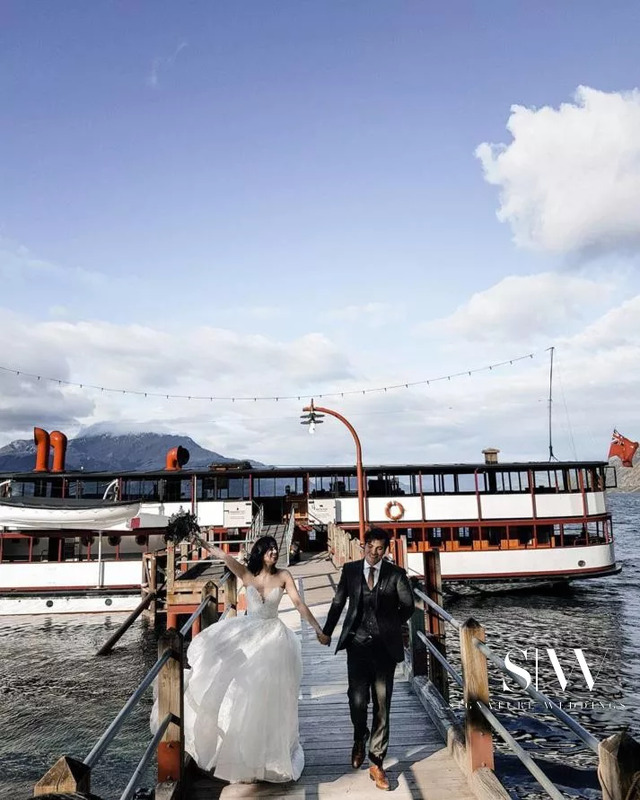 A truly romantic affair that we are just absolutely loving. 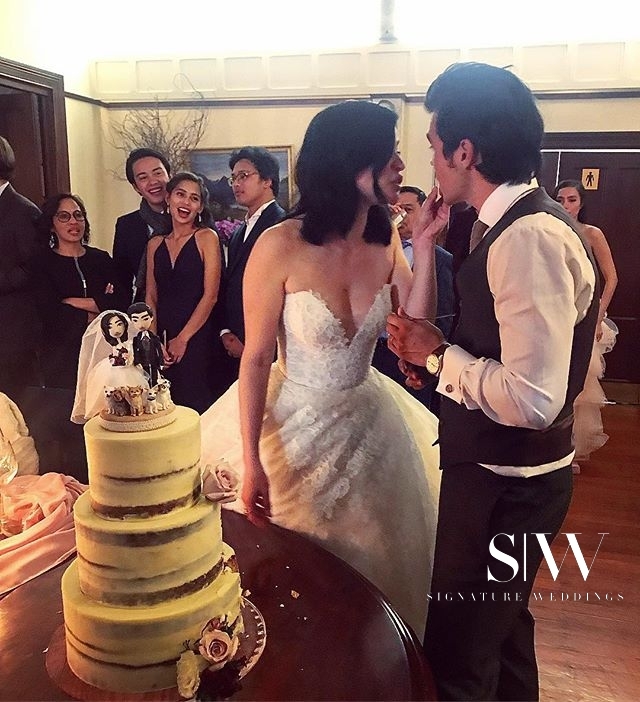 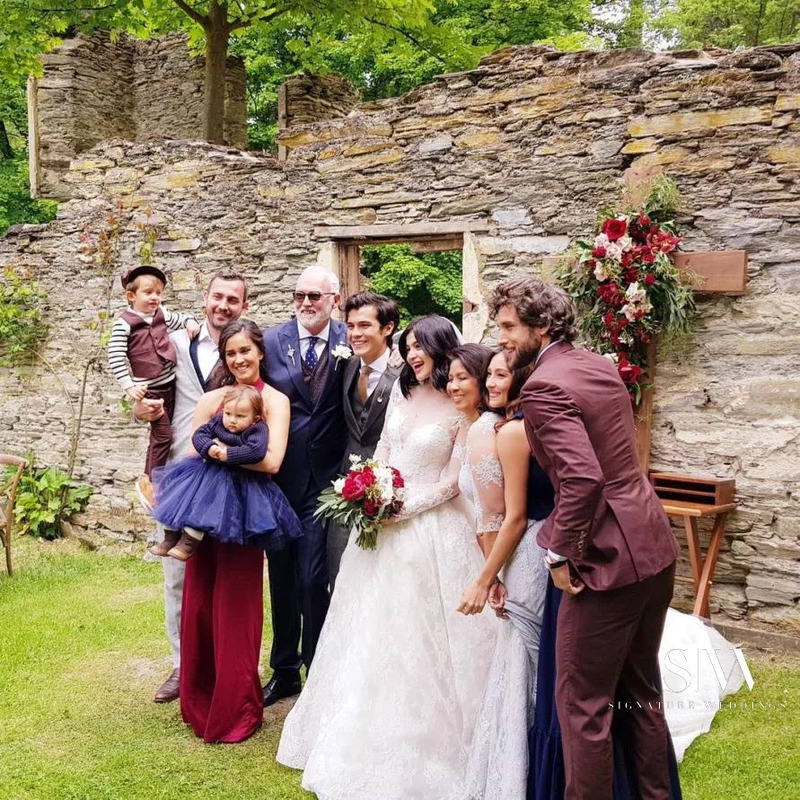 Congratulations to the beautiful couple, Erwan and Anne!